A worn shock or strut might look exactly the same as a fully functioning strut. Why? It’s what’s inside that matters. Sure, all of the usual visual clues like leaks, bent rods and bottoming out marks still matter, but it is the millions of cycles a ride control component will have to endure during its life that will compromise what you can’t see. Some units use springs to tune the valve for the vehicle. Dampening can be tuned for rapid movements or slow movements like body roll. 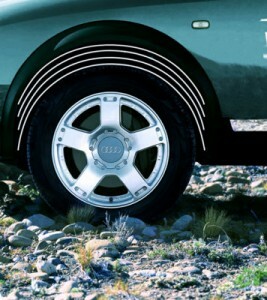 When a wheel reacts to a bump or body motion, the shock or strut is cycled. In this cycle, the piston will move and the valves inside the unit will pass fluid from one side of the unit to the other. It’s not the length of the stroke that matters, but the frequency of the cycles. Even under normal conditions on a smooth road, shocks can cycle an average of 1,750 times for every mile traveled. This can add up to almost 9 million cycles in 50,000 miles. Movement and the passing of fluid inside the unit will cause metal discs or springs in the valves to deflect and flex, which causes unseen wear and fatigue inside a shock or strut unit over time that will stop valves from being able to control the movement of the suspension, body and wheel. The strut may look fine on the outside, and it may even have stickers and grease pencil marks from the vehicle assembly plant, but inside is another story. Shocks and struts wear, and their performance degrades gradually and even imperceptibly. After more than three years of durability testing, the Automotive Maintenance and Repair Association (AMRA) says the key number here is 50,000 miles. 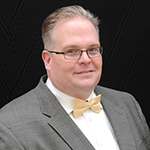 AMRA represents the automotive repair industry and promotes a consumer outreach effort, the Motorist Assurance Program (MAP), that’s meant to strengthen communication and trust between the industry and its customers. MAP has expanded its Uniform Inspection & Communication Standards (UICS) to include a standard for shocks and struts that says most ride control units degrade measurably by 50,000 miles and replacement for improved vehicle performance may be suggested after that point. This standard is for OEM hydraulic fluid and/or gas charged shocks and struts only, not for electronically controlled units. This replacement recommendation was determined after more than three years of testing performed by four major manufacturers of shocks and struts, in which shocks and struts were tested for more than 70 million cycles of compression and rebound. These are not washers; these are metal discs designed to deflect under specific piston movements. Engineers will change the thickness and size to tune for the vehicle. The valve size is not constant on most shocks and struts. By using metal discs and springs, a valve can change the size of fluid passages depending on the type of rod movement. For high frequency movements like washboard roads, the valve will have a large opening so the suspension can soak up the bumps. Turning a corner, the valves will have a smaller opening to dampen body roll. The discs and springs in the valves can suffer from metal fatigue due to the constant movement of the suspension and fluid, which can lead to wear and handling problems. This type of wear can’t be seen with the naked eye. 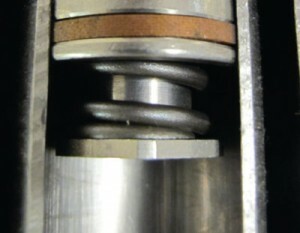 One area of wear is the seal between the piston and bore. The seal must prevent fluid from flowing between the two surfaces without creating excessive amounts of friction. If the seal allows too much fluid to pass, it will influence how the valves perform. The seal at the top of the body is the barrier between the harsh environment outside and the fluid and gas within the unit. The seal will not be effective if the surface of the shaft is pitted or damaged. Poor sealing surfaces will cause the unit to leak. If the pitting or lost chrome plating is large enough, it can damage the seal, which can lead to water and debris getting into the unit and damaging the valves and piston seal. To protect the seal, it is essential to replace the boots, dust covers and jounce bumpers. If any of these items are missing, it could cause the premature failure of the new unit. When a shock or strut is cycling and exchanging fluid between chambers, it is generating heat. This heat is produced because the unit is changing the movement of the suspension into thermal energy. The solution for managing this excess heat is nitrogen gas. Monotubes have a reservoir of gas pressure under a ﬂoating piston in the bottom of the shock; twin tube units will have a gas cell or envelope in the outside tube. These gas chambers keep the shock oil under constant pressure, which reduces cavitation and foaming. If the gas leaks out of the chambers, the unit will “fade” and not perform as intended. Note that the unit will not leak externally. Instead, the nitrogen will form tiny bubbles in the oil. Since Nitrogen gas is compressible and is much thinner than the oil, the unit starts to fade and provides much less resistance and ride control. On a rough road, this can cause a lot of tire bounce, loss of traction and control.